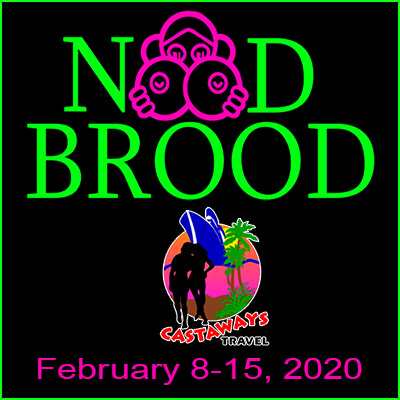 Join the “Nood Brood” for our annual February trip to Hedonism II. Your hosts Monette & Neil, are experienced Hedonists who want to ensure you have a mind-blowing vacation experience. We are open to any level of hedonists whether you’re couples or singles, nudists or any level of lifestylers, to include those still undecided. Whatever your reason for vacationing at Hedonism, nood brood Nood Brood has something for everyone. This is your vacation and you can do as little or as much as you wish. Our motto is “Whatever you want it to be” and we promise you that is the vacation you will have. We pride ourselves on being mellow, spontaneous, easy going and fun. Join group activities, theme nights, special events and an all-around fun Brood of welcoming people, at your leisure. For more information about the Nood Brood visit our web page at www.noodbrood.com.